Mining giants on both the East and West coasts of the nation are preparing for the worst as cyclones threatens Far North Queensland and Western Australia’s Pilbara region. Rio Tinto has suspended operations at its recently-commissioned $1.5 billion Amrun Bauxite Mine, 40km south of Weipa in preparation for Cyclone Trevor. “Operations have been suspended at Weipa as Cyclone Trevor approaches the coast, as per standard procedures,” the company said in a published statement. Ergon Energy crews are flying to Aurukun where about half of residents are without power. 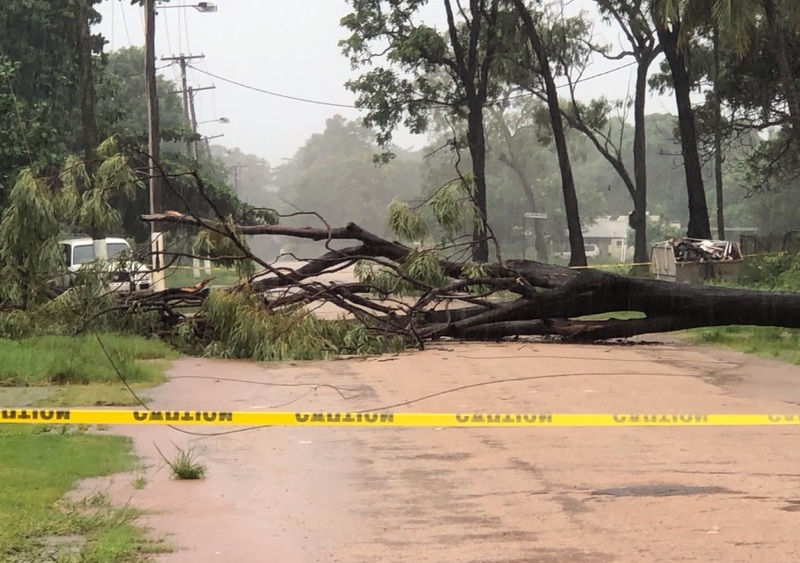 Despite the ongoing rain and lack of electricity, Aurukun Mayor Dereck Walpo said people are still in “high spirits” and most buildings have survived the cyclone without damage. “The worst has come on gone and everyone has a smile on their dial,” Walpo told the Australian Associated Press. Trevor has developed into a category-four system, which the Bureau of Meteorology ranks as severe and causes “significant roofing loss and structural damage” and destroys and blows away caravans as well as sends debris dangerously flying in winds of up to 260 kph. The Northern Territory Government has responded by evacuating about 2000 residents from Groote Eylandt, Numbulwar and other towns in the Gulf of Carpentaria area by road and via Australia Defence Force cargo planes. NT Chief Minister Michael Gunner declared a state of emergency for the Gulf country on March 21, describing it as the territory’s largest evacuation of people before a cyclone hit since Cyclone Tracy in 1974. Tent cities have been set up in Darwin and Katherine areas. The company has made preparations at Cape Lambert Port Facility and Dampier Salt Facility as the system is forecast to intensify into a category five system with winds of up to 320 kph. Meanwhile, BHP has sent home non-essential fly-in fly-out workers at Port Hedland. A spokesperson said in a statement that offshore production has stopped in at the $2 billion Pyrenees Oil Project, 45 km off the coast of Exmouth. Non-essential people have been demobilised. Pilbara Ports has also started cyclone preparations at Port Hedland and both Ashburton and Dampier ports.